At www.kiddycations.com we thought we had seen it all, until we researched Changi Airport! This airport in Singapore literally has it all! Family friendly lounges, play areas galore, entertainment zones, swimming pool and even a nature trail! 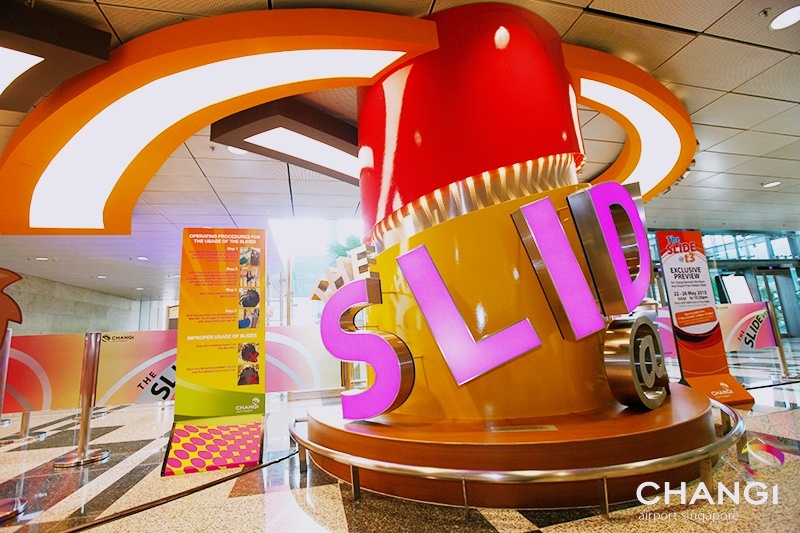 All three terminals have play areas that are suitable for children aged 1-12 years – Woohoo! Let the energy burn commence …the areas have slides and equipment to climb around on so it should keep everyone amused for quite some time! Terminal 1, departure transit lounge east (next to outdoor garden), level terminal 2, departure transit lounge north, next to the family zone, level terminal 3, departure transit lounge, next to SATS special service lounge, level 2, & departure transit lounge, outside gate hold room A16 – A20. Take a ride down the worlds tallest airport slide! Standing tall at 12 metres high! For every 10SGD spent at the airport in a single same day receipt visitors can redeem one ride at the information counter (level 1). A maximum of 10 rides per receipt can be redeemed on the same day. This is for the bigger kids with a height restriction to be at least 1.3 metres tall but no taller than 2 metres (sorry dads!) Located at the arrival hall, level 1 public area. Open 12pm – 10.30pm daily. Yes? Then you can do a tour of the airports gardens. They have quite a few and should keep everyone happy from the butterfly garden to the koi carp! Cactus garden – this is a rooftop garden and has over 100 species of cacti! Including Cyads (which are survivors from the dinosaur era!!). There is a bar in the garden so you can enjoy a drink in the sunshine too! Happy days! Orchid garden – This is a very colourful display with over 700 orchids! Butterfly garden – the first butterfly garden in an airport! It has been designed as a tropical butterfly habitat complete with a 6 metre grotto waterfall. It has 1,000 tropical butterflies with as many as 40 different species. Enchanted garden – this garden comes to life with magical sounds and lights! I am sure this is where all the little fairies and pixies would live? Departure transit lounge, level 2. Koi pond – come and watch the beautiful fish swim and for an added bonus children can feed the fish at feeding times. If you have a budding artist head to the interactive art station. 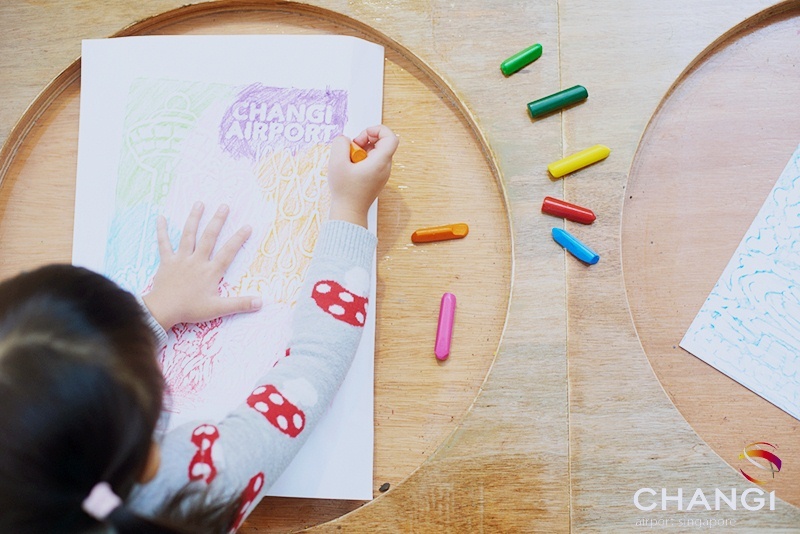 Create your own imprints from rubbing surfaces of icons inspired by local Singapore culture and Changi Airport. A whole area dedicated to keeping you and your little ones as happy as Larry! Tiny tip: There is also a cafe there if you need to zone out after all that entertainment! This lounge has award winning services and facilities. Everyone’s rumbly tummies will be kept at bay with an all day dining spread with the most popular Singaporean dishes, Laksa and Singapore chicken rice just to name a couple. With free hot and cold drinks. The lounge has three private resting suites, six shower rooms, two VIP rooms, massage and nail centre, comfy seats, free Wi-Fi, newspapers and magazines and more. Lounge use is 58SGD for 5 hours, 105SGD for 10 hours. Free for children under 2 and children aged 2-11 have 50% off. This is a cosy lounge and perfect between flights, it offers private napping suites, shower facilities along with beauty and massage services. Lounge use is 58.85SGD for 5 hours, children 6-12 are 29.43SGD and children under 5 are free (woohoo!!). The Haven is the only pay-per-use lounge located in the public area of the airport. With nap rooms, shower rooms and an internet corner it could give you some peace between flights. The shower rooms have rain showers and have bath towels and shampoo/soap/conditioner as well as hairdryers. The nap rooms take a maximum number of one adult and one child (children under 2 are free). Lounge costs start at 2 hours for 35.31SGD per adult and 23.54 per child (aged 3-12). Under 2 are complimentary. This is a free lounge and has comfy seats, TV shows for all ages and computer terminals beside the TV area so you or your little ones can surf away. Comfortable seating and TV screens are located in all 3 terminals. This has comfy sofas and TV’s showing cartoons but it also has a soft play area and nappy changing facilities and nursing rooms as well – sweet! Trying to keep to some sort of routine? Need somewhere to go for a quick nap? Head to the snooze chairs. Fully reclined so you can have a lie down and they are free to use. They are dotted around all 3 terminals. Trying to keep to some sort of routine? Need somewhere to go for a quick nap? Head to the snooze chairs. Fully reclined so you can have a lie down and they are free to use. Terminal 1, transit east, level 3. Terminal 3, transit north mezzanine. Terminal 2, transit north pier. This is a free to use lounge; if you all fancy a little snooze … well you can dream ? OK if you still have energy left how about a swim? Nothing tires children out quite like a good old splash in a pool! ‘But we are in an airport!’ I hear you shout! I know how amazing is this airport?! I did say it was good! A rooftop swimming pool is located at the Aerotel Airport Transit Hotel (Terminal 1). For 17 SGD per person you can use the swimming pool, Jacuzzi, shower facilities and poolside bar!! It is open daily from 6am -12pm. Located – departure transit lounge east, level 3 (near D gates). If you have a longer stop over (at least 5.5 hours or at least 6 hours for City Sights Tour) then you can take advantage of a free tour of the city! It is a 2.5 hour guided tour. The Heritage Tour runs four times a day and takes you through the cities colonial and cultural districts – Chinatown and Little India. You then have a short stop in the colourful area of Kampong Glam and then a short stop in Merlion Park. This tour takes place in the day. If you fancy a night tour, head for the City Sights Tour. This tour showcases the best of modern Singapore with a short stop at Merlion Park. The tour also stops at the Gardens by the Bay where you can look at the amazing magical lit up super trees! All you have to do to register for a tour is to head to the registration booth located in terminal 2 (level 2) and terminal 3 (level 2). Easy Peasy! 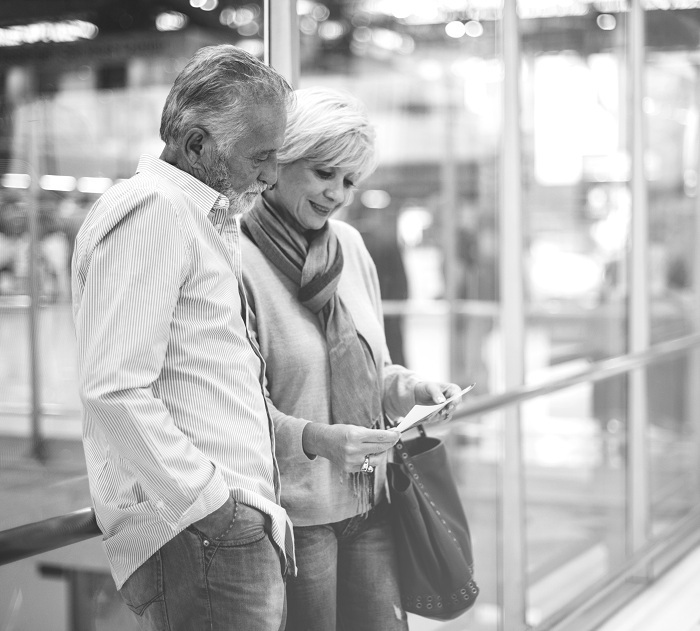 To be eligible for a tour you need to be a transit passenger. Baby care rooms – dotted around the airport. Baggage drop – located at all 3 terminals check www.changiairport.com for all the up to date price lists. Medical clinics – Raffles Medical Group located at – Terminal 1, departure transit lounge west, level 2 terminal 2, departure transit lounge north, level 2 terminal 3, departure transit lounge north, level 2 basement 2 south, public area. Movie theatre – located at all terminals 2 & 3. Pharmacies – located at all 3 terminals.